At the end of 2016/17 season both teams had really struggled and finished in the lower reaches of the league. 2017/18 was much more successful, in the first half of the season the boys gained promotion from Div 2 as runners up and managed to retain their place in Div 1 finishing in mid table. 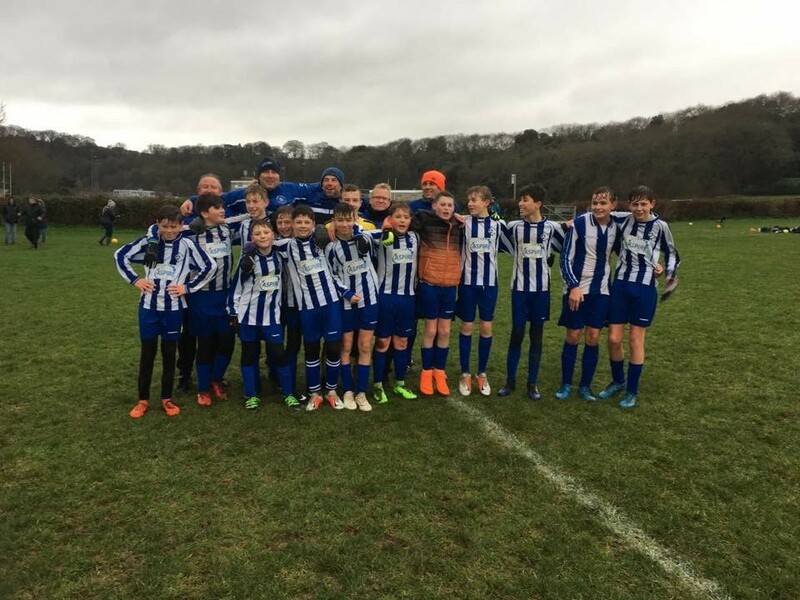 This season the boys have already won the league and have been crowned champions of Division One – well done boys!! 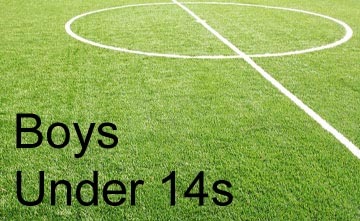 For many in this age group with 2017/18 season was a period of transition as we moved from 9 a side games on smaller pitches on to a full sized pitch and 11 a side. This meant consolidating the two 9 a side squads into one group, which was obviously difficult as some boys inevitably missed out. We are looking forward to a strong season in 2018/19 with a squad that is now smaller than 12 months ago, with much more experience of 11 a side and hopefully we will be able to climb into the upper reaches of Div 1 and challenge the more well established team on and off the pitch. 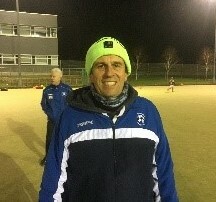 Gary is also known as stato and supports training on Thursday, is very good at putting up goal nets and conjures up lots of pre-match exercises to keep the boys focused, but his hats tend to do that anyway. 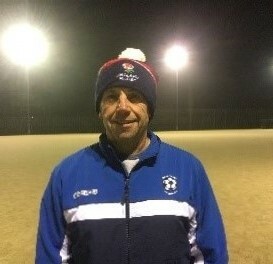 Niall looks after all the warm ups and getting the boys running around – they love it, so he does it on Thursdays at training and on Saturdays. 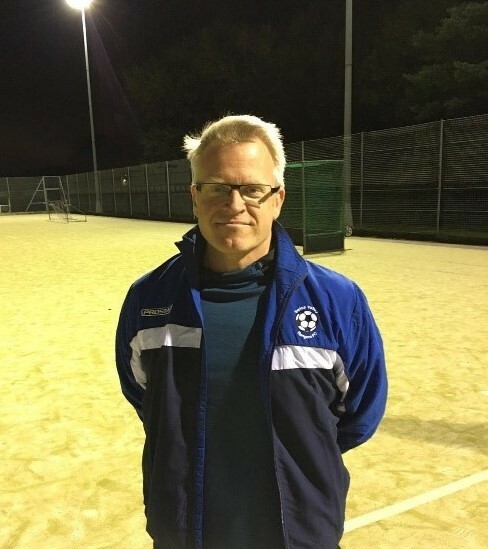 Andy is in his first season as coach with us, has been a qualified coach for a number of years and provides use with useful insights on Thursdays. 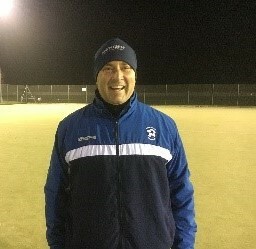 Paul is a UEFA B coach and works on the training routines on Thursdays with the manager to help get the best out of the boys. 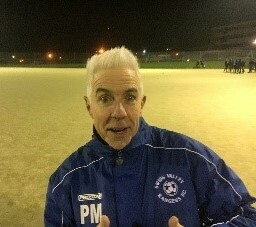 As you can see from the photo, he’s not normal! Viv is the only guy in the country that watches Match of the Day to help him become a better linesman, he studies the offside laws in great detail !